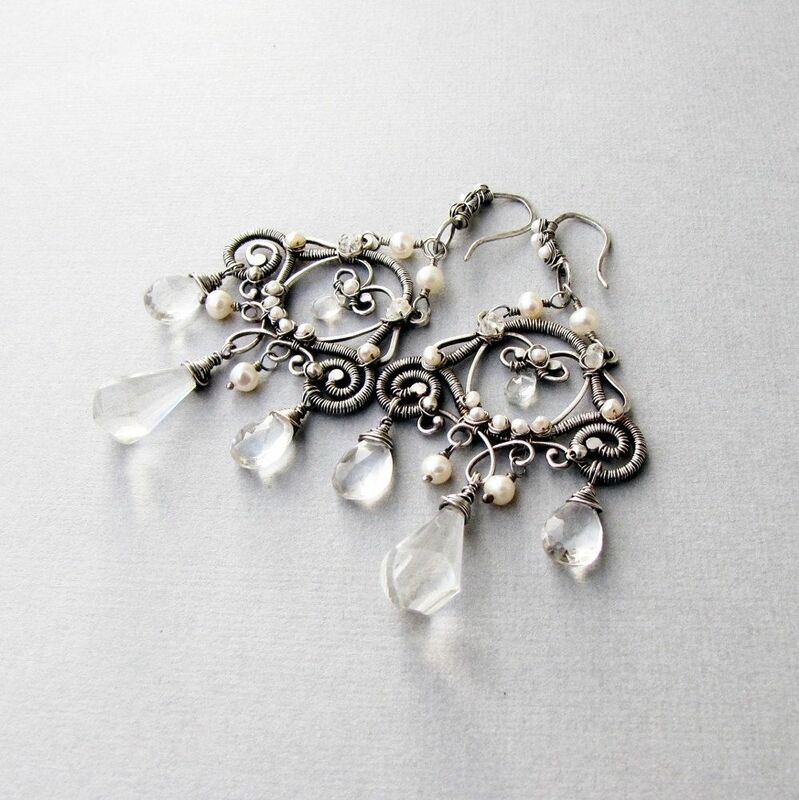 These chandelier earrings were a custom creation for a bride. This specific design is 3.25 inches or 8.255 cm long and features quartz gemstones, freshwater pearls and meticulously crafted sterling silver in a graceful curling design. They can be recreated exactly, be modified according to color and material preferences or a completely new design can be made just for you. Love the earrings and was thrilled to get them today. Anna you're so talented! They look great. 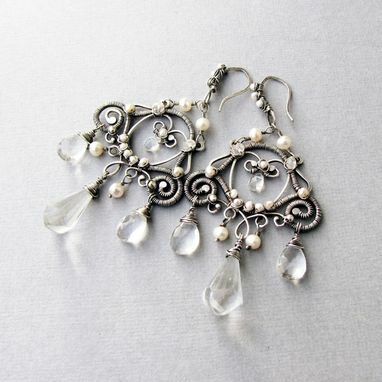 Looking forward to new designs in chandelier earrings if you are considering any.